← See the ruins of Pompeii like you’ve never seen them before: Through the eyes of a Drone! STP’s ‘Funding Finder’ bulletin out – with deadlines! 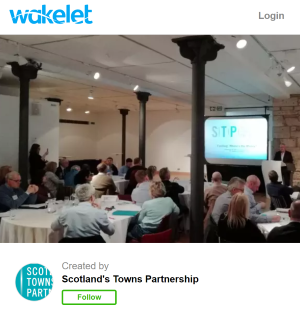 Scotland’s Towns Partnership (STP) has issued its most recent ‘funding finder’ bulletin, which highlights updates on available funding as well as upcoming deadlines. The bulletin upcoming deadlines including: Architectural Heritage Fund, Greggs Foundation Environmental Grants, Historic Environment Scotland Organisation Support Fund, Dundee VA Community Small Grants Fund, Museum Development Fund, The Elephant Fund, Soirbheas Apprenticeship Grant Scheme, Comic Relief Intermediary Funding, CARES Innovation Fund, Edinburgh Airport Community Board, Thomas Wall Trust, SSE Griffin and Calliachar Community Fund and Stroupster Community Fund.